Waiting on Wednesay, first edition! Waiting on Wednesday is a weekly feature hosted by Breaking The Spine that spotlights upcoming releases we're eagerly awaiting. 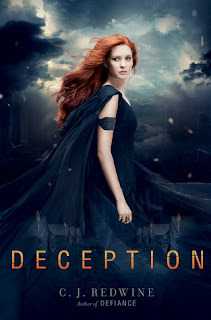 For my first Waiting On Wednesday, which equals to "damn-is-it-here-yet" I chose Deception (Defiance #2) by C.J. Redwine. Why am I eargerly awaiting on Deception? I have a double reason, and that's why I chose it for my WoW, firstly I loved book 1, Defiance, so I can't wait to see what's next in store for Logan and Rachel, and discover more of their world, and secondly, I'm awaiting a signed ARC to come in the mail that I won on C.J. Redwine's massive giveaway! I've decided to start using Bloglovin as well as the regular GFC for my blog, seems that is more general/all kinda blogs friendly, and not just Blogger centric! 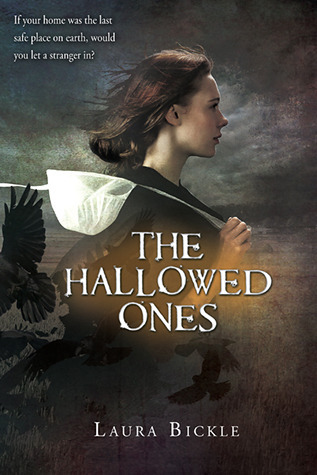 Mark This Book Monday: The Hallowed Ones by Laura Bickle!! For the second (and last) Mark This Book Monday of this week I have a book I had on my TBR list for a long time, but finally got around to read, and it has quite the unique premise, it mixes the Amish and the end of the world as we know it! I had this book on my TBR list for a while, cause I read the blurb and thought that was such an unique idea, but for some reason I never got to reading it till I saw the ARC for the second book on NetGalley and I thought I needed to read book 1 STAT! 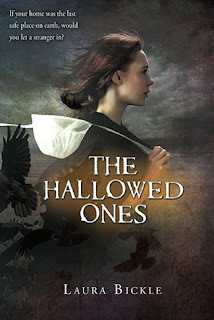 I'm so very glad I did, The Hallowed Ones is a 4 and a half stars for me, and I'm fairly glad went into it without having too much information about it, aside from the blurb. Katie is one of the Plain Folk, the Amish, and she is eagerly awaiting the time of her "Rumspringa", when according to Amish tradition, the youth can experience the Outside world and decide if they want to remain there or come back and get baptized and be part of the community fully. Katie is excited about fully experiencing the Outside and even more doing it with Elijah, the boy that she considers her future husband. But before the time of her Rumspringa arrives, something horrible happens to the Ouside and the Elders of her community decide that the only way to keep them safe is closing up the doors and completely isolating themselves from it. Katie has never been good at the blind obedience thing, and she finds herlself doubting things more and more. After they find an outsider and the Elders decide to leave him to die, she does her first act of rebellion and saves him, hiding him on an old barn. 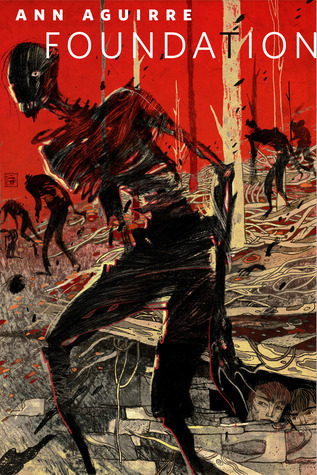 This book is more postapocalyptic with a dash of horror than dystopian, and it just keeps you glued to the pages! I found myself relating and rooting for Katie, cause she keeps on trying to think for herself and doing what she thinks is right, no matter who she has to go against. The monsters in this book are plain and simply scary... they're the stuff of nightmares, and the lack of information of what and how it happened makes you are even more defenceless, even though the Plain Folk seem to have an in-built defence in their way of life. I loved this book, and I'm really glad the sequel is coming out this September, cause I can't wait to read more about Katie's journey! Mark This Book Monday: ARC Review of All Our Yesterdays by Cristin Terrill!! Another week is starting and so there's another edition(s) of Mark This Book Monday! I want to start with one of the latest ARCs I was approved for on NetGalley and that was highly recommended to me by another two awesome bloggers: Sam of Realm of Fiction and Kristen of My Friends Are Fiction, both of them loved it, and Kristen specially highly recommended it to me, so thank you so much ladies! Also, I wanna thank Bloomsbury Publishing for sending this modest bookworm and blogger an ARC of their book! I've settled to give this book 4 and a half stars and I have to say I'm still tempted to give it 5 stars. Making sure this review is as spoiler free as possible might be difficult, cause this is a book I'll love to talk about for a long time, but I don't want to spoil the experience of wondering, pondering and passing pages frantically not being sure what to expect of it! All Our Yesterdays is about time travel, it's not all about the science behind time travel or the discovery of time travel, though we do get a plausible enough explanation with enough science to make you understand and make it believable, but it's more about our choices in life, and what would we do to save the future. The book starts with Em and Finn in prison, and Em obsessed with the drain in her prison cell. There she finds a list of all the things she's done before to change the present by going back to the past and didn't work, and the one thing that she and Finn need to do, their last chance at making sure the horrible world they are living in doesn't happen. 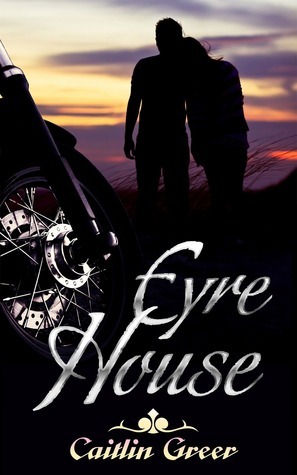 There is romance in the book but it is not the wirldwind one that swepts you off your feet, it's the one built through hardship, companionship & friendship, it's the kind romance that gives that extra spark when the going gets rough and that helps you see there might be a light at the end of the tunnel. Cristin Terrill wrote a fantastic book, very well rounded and that will make you want to devour and savour it, all that the same time. And after finding out there's a sequel, and I'm quite anxious to see what new twists and turns she'll have in store for us! 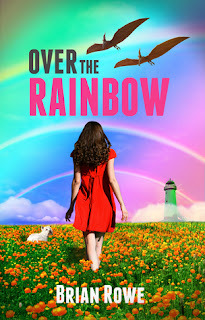 Here I am on my third Showcase Sunday, a feature started by Vicky of Books, Biscuits, and Tea where you can share with the rest of the bookworms online what books you got this week, be it purchased, won on a giveaway, gifted or got for review. This week I bought a few books and got many rejections on NetGalley (bummer!). What books did you get this week? I'm hoping for some awesome goodness in the mail for next week! It's Saturday, and for me it's another day going to work (and missing the qualifiers for F1! ), but I wanted to share a song with you all for Saturday Song. This week I've been a bit obsessed with the soundtrack for The Great Gatsby (which I haven't seen yet, will have to wait till the DVD release) and I really shouldn't be surprised, I always love Baz Luhrmann's movies and soundtracks and the twists songs get in them. I've been particularly obsessed with Florence + The Machine's Over The Love, and even more with this live version I'm sharing with you all... she's got an absolutely WOW kinda voice! This week has been quite busy, even if I had my first day off since I went back to work after vacation (2 full weeks!) but I was mostly lazy that day! For this week's Thankful Thursday I wanna say thank you for having the money to spare and the friends to buy things for! I can't wait till I can give my friends the sarees I got for them, and it's amazing seeing them so excited to get them! Time to spend with them, enjoying each other's company and having a lil something to make them smile, it's absolutely priceless! Showcase Sunday is a weekly feature hosted by Vicky at Books, Biscuits, and Tea where all readers & booklovers can share what new books they got this week, be it purchased, borrowed, received for review or won in a giveaway! Hello everyone! How's your week going? Mine is going fairly well, work is fairly insane busy but that's kinda usual anyways. For today's Thankful Thursday I wanna say thank you cause I've been insanely lucky to win a bunch of giveaways this past two weeks! First, last week I won a Twitter giveaway from author Ashley Elston for an ARC of Alienated by Melissa Landers! Then, I won a preorder of Avalon by Mindee Arnett at Realm of Fiction! 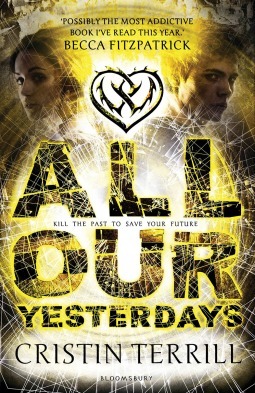 And today I won a preorder of All Our Yesterdays by Cristin Terrill at My Friends Are Fiction! 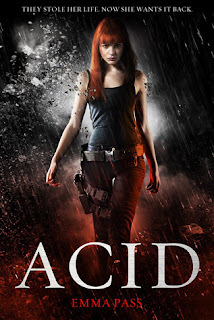 Mark This Book Monday: ACID by Emma Pass!! And would you believe it? My motivation must have stopped trying to run to the hills cause here I am with the final Mark This Book Monday for this week! This book I discovered via Twitter and the recommendations of some of the authors I follow in there, so thank you Twitter! Writing a review for ACID is gonna be a bit tough, not because I don't think it is a brilliant book, that it is, but because I think this is one of those reviews that must be absolutely spoiler free, and that's gonna be hard to pull off! ACID is a purely dystopian tale, with a touch of science fiction due to the future time setting, but it doesn't have the usual post-apocalyptic undertones of other dystopians. Here there was no worldwide catastrophe, here humanity doesn't have to start from scratch, here there was a bid for power at a vulnerable moment in history, and a country has been shaped at those powers' will. There are some elements that would remind me of 1984 and even A Brave New World, in the way society has been changed, and in how fear & lies are what keep the populace under control. ACID is Jenna Strong's story but not only hers. Jenna does honour her last name, she's a very strong and resilient character. I loved having a main character that was a female and kicked arse! But the best thing about ACID is not just having a strong female character as the main character, the best thing about ACID was how it kept managing to surprise me at every twist of the story! I kept expecting the story to go one way, turned the page and bam! I had been thrown a curve ball and was surprised. Time after time! And that's also the main reason I don't want to discuss plot much during the review, cause I don't want to let anything slip! This was a great read, and also quite a change of pace since it's a stand alone and it felt great enjoying and wrapping a story in one book. Very much deserved 4 stars for this one! 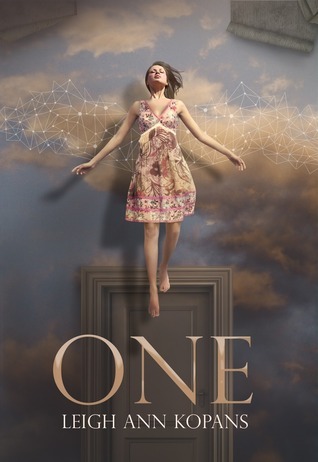 Mark This Book Monday: One by Leigh Ann Kopans! Well, it seems that I'm getting some of my motivation back, and now I have the third Mark This Book Monday of the day ready! I don't even remember how I stumbled upon this book on Goodreads, I'm just glad I did! One is the kinda book that sounds interesting enough to grab and once you start reading it just proves to you that it was quite the right choice! There might be some minor spoilers in the review, and I really hope I can keep them to a minimum. I actually had a difficult time trying to get One on my Kindle since I was looking for the book by typing the author name wrong! I kept typing Leigh Ann Kopans instead of LeighAnn Kopans, and I almost gave up trying to find it, just glad I didn't! The premise of the book is interesting and unique enough: What if humans can have superpowers but it doesn't work exactly as we've always seen it on comics and movies? What if to fly you need a combination of more than one ability? And what if not everyone get that but are left with just one? In this world you can either be a Super (someone with two or more powers) a Normal (someone without any superpower) or you can be a One (the pariah to both sides, not special enough for the Supers, too different for the Normals). Merrin is a One, her measly power is making herself light enough to sort of float/hover and she had been at the Supers High School hoping to develop another power that would allow her to fly. When that doesn't happen, her parents decide to tranfer her to a regular high school for Normals where she won't have to deal with as much rejection. All Merrin has ever wanted is fix herself and as an intellectual portent she is aiming to join the Hub and work on something that will make her more than just a One. Meeting Elias on her new high school and feeling like her world is turning upside down was not part of her plan, and even less was discovering what she and Elias can do together, that two Ones can complete each other. Not only the premise of this book is unique but also Merrin is not your usual love-swept girl. 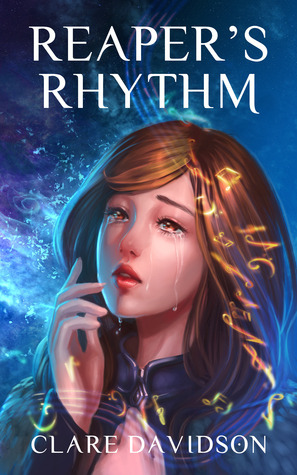 Romance is a key factor in the book, and a big driving force for everything that happens, but it doesn't make Merrin a doe-eyed damsel in distress, all the contrary, it makes her fierce and she is the one doing the rescuing! The ending has closure to a point, but leaves enough open doors to really await the second book eagerly, thankfully without a cliffhanger! 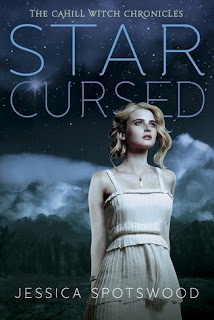 Mark This Book Monday: Star Cursed by Jessica Spotswood! Here comes the second Mark This Book Monday of the day. This book took me on an absolute emotional rollercoaster from anger to heartbreak and everything in between. Star Cursed by Jessica Spotswood. Star Cursed is the second book on the Cahill Witches series and as usual when reviewing a book that is part of a series, it is hard to keep spoilers from previous books to pop up here and there. So be warned, there might be spoilers for Born Wicked here and there. And it might contain some spoilers for this book itself too, although I will try my best to keep them to a minimum! I have a confession to make about this book, it took me over a week to read it. Was it not engaging enough? Did it bore me at any point? Nope, those are not the reasons. The reasons can be quite the opposite, I was becoming so involved emotionally with the book, I kept on needing breathers here and there to deal with the righteous anger that kept grabbing me by the throat. Cate is at the Sisterhood now and everyone thinks she's the prophesied witch that will get rid of the Brotherhood and will return the Daughters of Persephone to their right place. Cate is not adapting well to her new life, it was not a choice she wanted to make and she's still fighting it during the first part of the book. Star Cursed doesn't have a middle book syndrome at all. Born Wicked was just setting up the stage and in this book things do start happening, and the stakes keep on getting higher. The Brotherhood keeps on getting more and more oppressive and the Sisterhood needs to decide on how to react, all out war consequences be damned, or find another way to stop them. Cate is caught in between the power grapples of the Sisterhood and once Tess and Maura join her at the Sisterhood, things just get even more complicated. The ending of the book is a cliffhanger, yes, one heck of a heartwrenching, mind-boggling, how the hell could that happen? 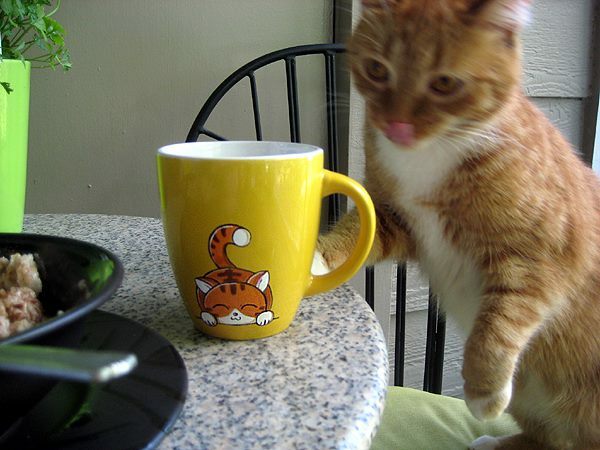 sort of a cliffhanger. The one that will leave you rocking on a corner while the world goes on not acknowledging your emotional trauma. I'm sure book 3 will will raise the stakes even more, and I'm hoping there will be a way to fix what happend at the end of book 2! Mark This Book Monday: ARC review of The Woken Gods by Gwenda Bond!! Hi there everyone! How's your Monday going? Hopefully the week started well for you lot. I have decided to grab my dwindling motivation by the unmentionables and write a few Mark This Book Mondays that are overdue! So, for today's first Mark This Book Monday, a review of an advance copy of a book coming out this September, and that you all should keep an eye on! 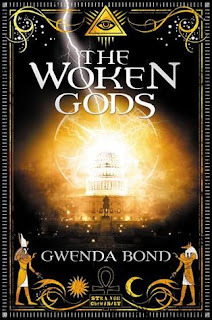 The Woken Gods by Gwenda Bond. After reading Blackwood by the same author and liking it a lot, finding it very unique a captivating, as soon as I read the summary for it I added it to my TBR list. Gods from all over the world mythology came back to life? Yes please! The myth geek in me was doing cartwheels! 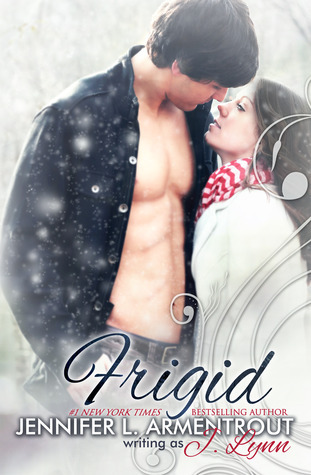 I requested it on NetGalley as soon as I saw it, and started reading it as soon as I got my request approved! I finished it up in that very same day, and like Blackwood before, it's unique and captivating, and a very fast read. Ten years ago the Gods of old came back to life, all Gods from all ancient myths, Summerians, Greeks, Norse... you name it, they're here. They didn't come in peace and they weren't exactly about to get chummy with humanity, but the Society of the Sun came into the picture, revealing themselves as the ones that could deal with the Gods and keep a semblance of peace. Kyra's life changed that day even more than the regular human, her father was part of the Society and her mother left them because as far as Kyra knows she couldn't stand the presence of her daughter without going rabid mad. She's acting up with her father as any other angsty teenager, maybe with a bit more reason than most, but when in the span of less than 24 hours her dad disappears, she is attacked by two Gods, given cryptic advice by another, rescued by the Society and has to face the revelations of some truths and half truths, and her world is completely upended once again. Not only that, she learns that the precarious status quo of humans safe from the Gods can change in the summer solstice. Kyra is not one to sit iddle, and despite being told to stay away she throws herself into danger trying to save those she love, even if she doesn't even know half of what's going on. And maybe that lack of knowlegde and the fact that she's dealing with Gods, and the Tricksters ones to top it all, might just cost her her life and the fate of humanity. Kyra could be a bit irritating on occasion but the more the story progresses and the more you learn about what has shaped her outlook and her attitude and I found myself understanding her position better. There's a bit romance, but it is not the force behind the book or what Kyra is doing, and I was extremely happy with that. The biggest force here is standing for those you love, even when you're not even sure they want you to, even when you don't think they'd stand for you. Learning to trust and to stop pushing people away cause you fear they will indeed run away anyways. The ending has left me pondering, cause it can be an extremely open ending for a stand alone or the perfect ending for book one of a series, and I'm really hoping it'll be the later! 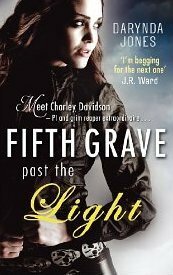 All in all, a four stars stand alone or a four and a half first book of a series, that ending really holds the half star there! Showcase Sunday for the first time! What is Showcase Sunday you might be asking? Well it is a weekly feature/meme hosted by Books, Biscuits and Tea where you can share the books you got this week, be it purchased, won in a giveaway, borrowed, from the library, as a gift or got a copy for review. This is my first Showcase Sunday but it won't be the last, I love books and I love the idea of sharing what I've got lately with other bookworms like myself! And that's my haul for this week, what books did you get this week? Thankful Thursday: The Silver Linings! I think I've missed two weeks of my Thankful Thursday posts, and it's not that I didn't have reasons to be thankful for, quite contrary, since I was spending time with the bf and that's not as common as I'd want! I've had a pair of those both yesterday and today. Yesterday I had a super crazy busy end of shift at work, which meant I ended up leaving late and was super stressed, but when I got home... ta dah! A parking spot right in front of my door! And parking is really a sore issue here, so made my day! And today? 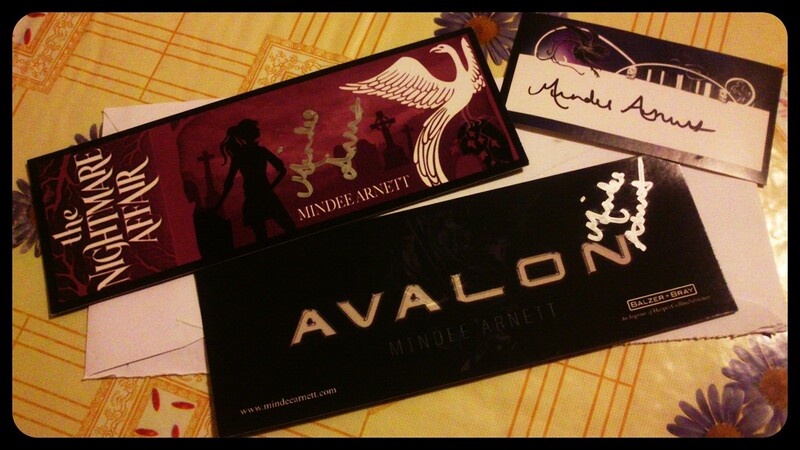 Feeling blah, aunt Irma around, work quite busy again... but, when I got home I had some awesome bookmarks from author Mindee Arnett in the mail, AUTHOGRAPHED!! Again, big smile! Wearing Handmade Wednesday: Vitamina Eu! This week I've missed my Monday book reviews, even if I have 2 books I really want to recommend to you guys, but with coming back from the trip, going back to work and the freaking heat wave over here... I really haven't managed to write a decent review for them! But today I'm bringing a Wearing Handmade Wednesday entry! It had been waay too long since the last one, so it was about time! Super cute hand painted mug I got my taste twin Deb for her birthday from Vitamina Eu! That super cute mug is from an Etsy shop called Vitamina Eu, based in Italy and run by Eu, a super talented & nice young lady that was immensely helpful on sending the mug directly to Deb, so she could get it in time for her birthday! Mark This Book Monday: After Daylight by J.A. London! And for the last Mark This Book Monday of the day, the final book in a trilogy that has a great mix of paranormal and dystopian! After Daylight is the final book in the Darkness Before Dawn trilogy. This review will inevitably have spoilers for the previous books and might have some spoilers for After Daylight itself. I really liked book 1 and 2 from this series, that is a mix of paranormal and postapocaliptic/dystopian since it deals with a world after the war than took place when Vampires came out of the shadows and tried to take over the world. 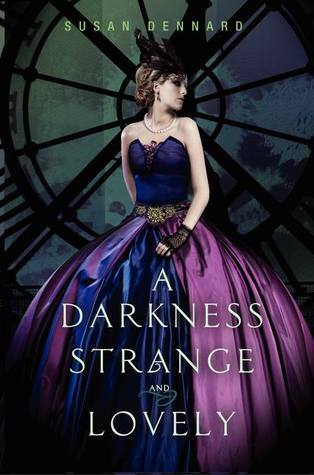 I was a bit tired of the same kinda Vampire books and this story was a refreshing change. Dawn has had a crushing revelation in book 2 and she's still reeling from it in the beginning of this one, not wanting to face what it means but even more determined to stop Sin from conquering the world with his army of Daylighters and the monsters afflicted with the Thirst. Dawn and Michael stumble upon a small village, Crimson Sands, set up in the middle of nowhere out of the control of the Old Families; a village where vampires and humans work and life together and where they defend each other. Victor and Jeff join them there, returning all four of them to Denver, to try and recoup and think of a strategy to defeat Sin. But the idea of Crimson Sands has given Dawn a new kind of hope in the possibility of a world where vampires and human can live together without oppression and walls. Dawn finds a way to accept who she is, focusing on what she feels and who she is and not what she is, and by accepting that, she finds a new strength and very unexpected allies. The romance in the book takes a bit of a back sit, even thought for both Victor and Dawn their relationship and how they support each other is what makes them capable of change and of fighting together. The climax and ending was not quite what I expected at all, and though that doesn't have to be a bad thing, it did leave me a bit perplexed. I guess that's why even though the two previous books got 4 stars from me, this one gets only three and a half. 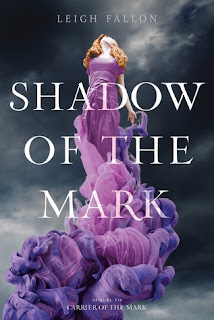 Still, if you want something with vampires but not your typical vampire book and want a mix of dystopian with it, really give this trilogy a try! Mark This Book Monday: In The After by Demitria Lunetta!! And here's the second review of the day! Written while watching Warm Bodies (again) and having some nice chai! Ah, the joys of being in India on vacation! So for the second Mark This Book Monday I want to introduce you guys to another dystopian story that is NOT just another dystopian story! In The After by Demitria Lunetta. I had high expectations for this book and it really did deliver! I was so engrossed reading the final pages of it that even the bf commented on how "intensely" I was reading. I'm even tempted to give 4 and a half stars! The book is divided into three parts, with the first part being all about introducing us to Amy and to the world where she lives, the After. The After is a postapocaliptic world of sorts, one were They started eating humans and the world as we knew it, the Before, collapsed. Amy is home when They arrived, so she managed to survive hunkered at home, due to having a set of unusual parents with unusual house set ups who managed to provide her with self-sustaining energy and a barrier of protection. She learns to survive by avoiding daylight, being silent and in the process learns a few things about Them, like the fact that night time is when it's safer to roam, and that they have poor eyesight, so if you stay still and quiet you might survive. The first part of the book deals with Amy surviving in the After with Baby, a toddler she found one night during a provisions run to a supermarket. Both of them survive pretty well for three years, keeping each other company and keeping each other sane. Then things start changing and Amy and Baby end up in New Hope. That's when part two starts, New Hope is a place where humans are safe from Them, so there's no need for silence and you don't have to fear the daylight. The best part of this is that the book has a double narrative, both on Amy's POV, but one is the past and the other is the present. You keep on learning more about New Hope and all the lights and shadows of the place. The second and third parts are equally as disquieting and uncomfortable as the first part, when you were trying to survive a world full of Them. On the second part Amy has to adapt to a world where They aren't present all the time, and the focus is on ensuring the human race goes on. And there are plenty of secrets on New Hope and plenty of darkness without Them, except that, are humans really safe from Them? A great story, with quite a few twists turned into it that will leave you thinking about it for quite a while! I can't wait for the next one and see what the author has in store for us! Mark This Book Monday: ARC review of Shutdown by Heather Anastasiu! I'm back to blogging today after a great short weekend on Bombay (or Mumbai as it should be in Hindi) to celebrate G's grandmom's birthday, with family time and also time to hang out with G's cousins and go out clubbing with them on Saturday night! Which funnily enough, after 6 years it was my first experience of clubbing in India! For today's first Mark This Book Monday is gonna be a review of the final book on a trilogy and it comes out tomorrow, July 2nd! 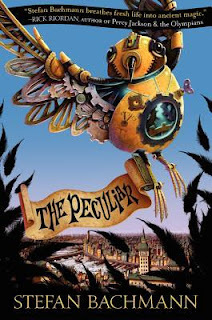 I was lucky to get an ARC of this book to review via NetGalley, and since I was still reading Glitch at the time, I was lucky enough to be able to read the full trilogy in the span of a week. This review will probably contain some spoilers for book 1 and book 2, but I don't think I could give a proper review to this book without referencing back to the previous books and events on them. There might be some spoiler for book 3 itself. Zoe has not only joined the Resistance, but was appointed leader of her faction and after a failed attempt at killing the Chancellor to free Adrien, who was captured and used against the Resistance, using his visions to capture the rebels and foil their plans. The book starts with an attempt by the Resistance to free the population from the Link, with Zoe and Max (working to help the Resistance as a prisoner with some leeway due to his particular Gift) infiltrating one of the cities. With the mission's failure and the Resistance being hunted down more harshly than ever before by the newly appointed Supreme Chancellor of the sector and old enemy. Zoe's gift continues to be out of control, and growing stronger than ever and dealing with Adrien's damaged brain and his lack of emotional response to her only makes it all worse. Her lack of control leads to their sanctuary being discovered, and Zoe's group being split on trying to run to their safe place. She and Adrien scape together and they must make it to the rendezvous point with extremely limited resources which pushes Zoe to use and control her gift on unexpected and unique ways. 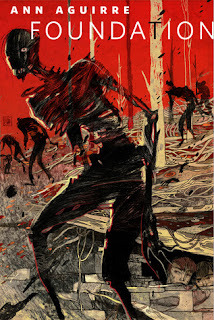 This trilogy started with a rather unique and disquieting premise, and each book continues to build upon the previous one, with each book getting better and the characters and their relationships getting more complex. The love triangle was established in book 1, was also resolved in book 1, and despite Max trying to get Zoe to listen to him and give him a chance, she continues to fight for Adrien and their relationship, though this special link does play a big part on the events at the end of this book. This book is the best one of the trilogy, and I will give it 3 and a half stars if not 4 stars, with a very tough ending but a very satisfying one, with a emphasis on redemption and the freedom of choice.